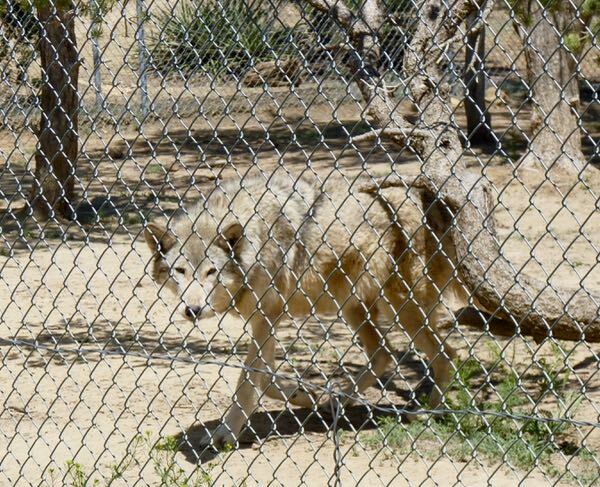 A place I had wanted to visit for some time was Wild Spirit Wolf Sanctuary. The critters there were mostly rescued from folks that thought they wanted a wild beast for a pet; then discovered otherwise. Wild spirits cannot be truly domesticated. 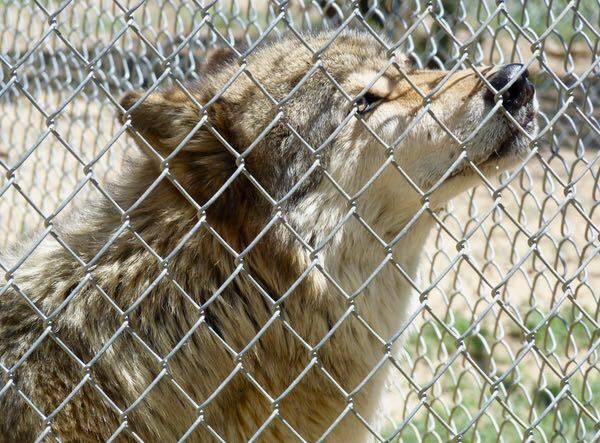 Many were actually wolf-dog cross bred, some were wild dogs, coyotes, and even an old fox. 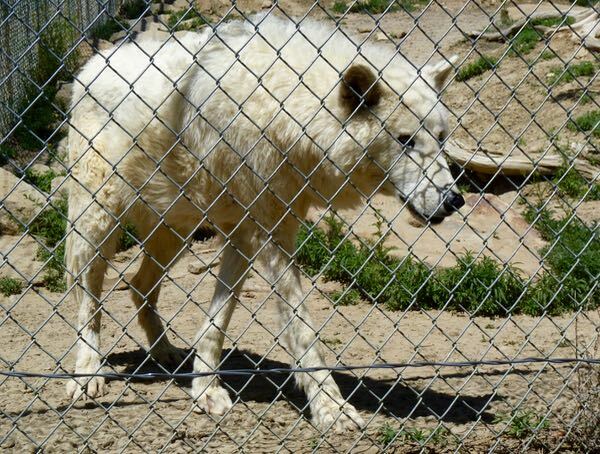 There were a couple of pure Arctic wolves that were huge. Some were wary of approaching us and stayed away; but, most were accustomed to the visitors. 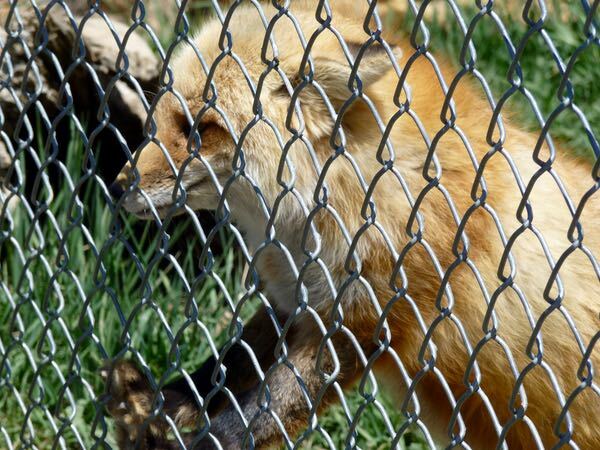 A treat of jerky was used to entice them over to the fence for a closer look. 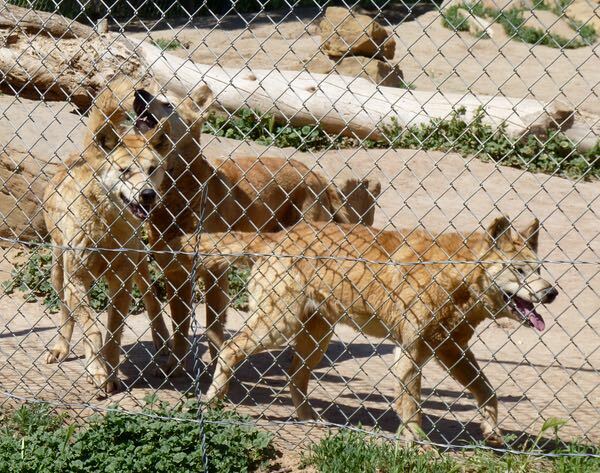 Each wolf, or pairs, had their own enclosure as they were very competitive and would scuffle otherwise. The spaces were quite large with natural landscaping and den. 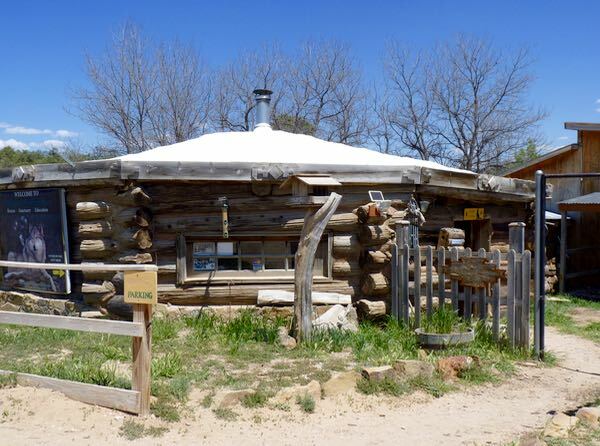 Originally, the sanctuary built houses for shelters. However, the critters rejected them. So, dens made of rock, mud, and brush were crafted. A guide explained the history of each animal, their habits, characteristics, and personalities. While it was sad to see these wild spirits in captivity, because of their origins they probably would not survive in the wild. Cool pictures, Pleinguy. I’d love to visit that sanctuary. We’ve got a coyote that’s been visiting my street (on the edge of town) in the early morning hours (reason to keep the cat on a leash). They are beautiful animals… and pre-date our living on these lands. 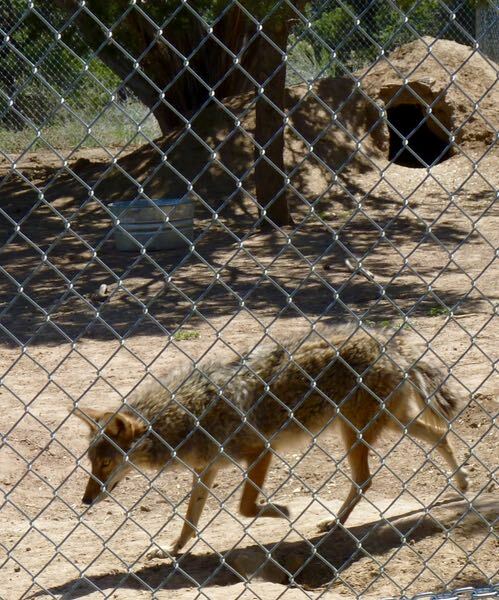 You are right to protect your cat from the coyote. It would make a quick snack of kitty.